Micros Kitchen Monitor, Monitor Size 12 In used in Micros VDU Controller #4000305. Model QES1515-015 15 In tabletop LCD replaces Micros Kitchen Monitor 15 In Color LCD (Original Monitor Size 12 In) used in Micros VDU Controller #4000305. Dynamic Display’s QES1515-015 CGA Monitors was designed to be a direct replacement for the CGA MICROS Kitchen Monitor used in the MICROS VDU Controller #400305, but it can also be used in many commercial and industrial applications that require a high-quality 15-inch CGA Display. 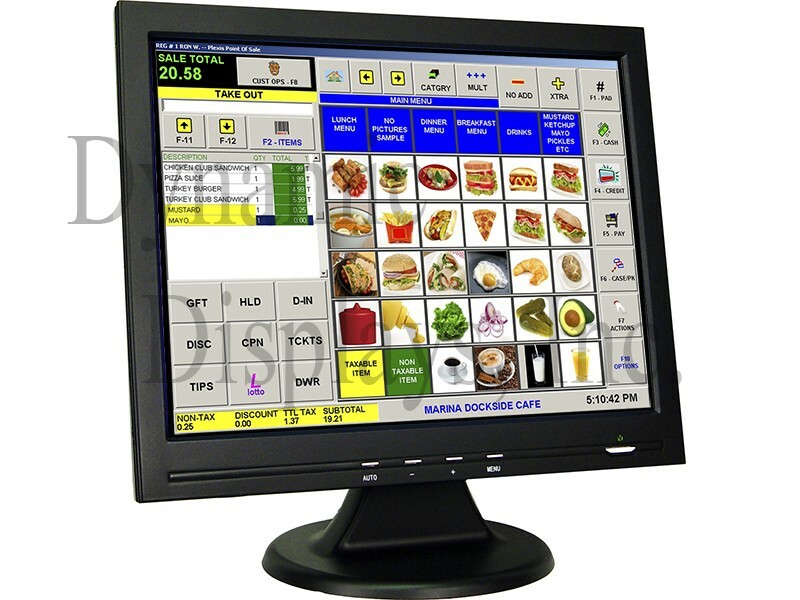 This 15-inch CGA monitor uses the latest in reliable TFT LCD display technology, comes in an attractive plastic enclosure, and can be mounted on its own tilt/swivel base or mounted on any VESA-standard wall or arm mount. This modern LCD display is fully compatible with the RGBI TTL video technology (Red/Green/Blue/Intensify) used in the original 16-color IBM Color Graphics Adapter with no need for signal adapters of any sort, and can be converted to an MDA video Monochrome monitor with a special video cable, but it is also compatible with modern VESA-standard video formats, making system upgrades easier and less expensive down the road. It is also has 15KHz through 68KHz multi-frequency slow-scan capability, making it compatible with many other legacy TTL Video Display Unit (VDU) Controllers used in older POS display systems, as well as many industrial legacy display systems that used the 16-color IBM Color Graphics Adapter (CGA) video standard. MICROS VDU Controller #400305 was used in the 2400 / 4000 Series MICROS Kitchen Monitor.